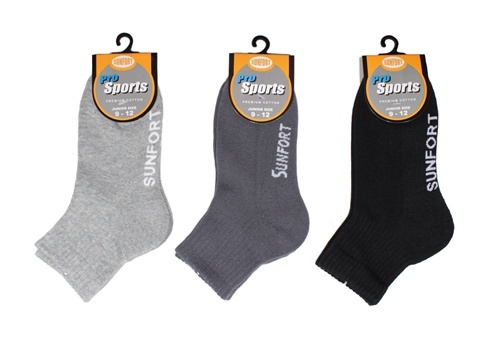 Three quarter socks go above ankles and below mid-calves. Colours: Grey, dark grey and black. Note that grey colour is only available in size 5-8.